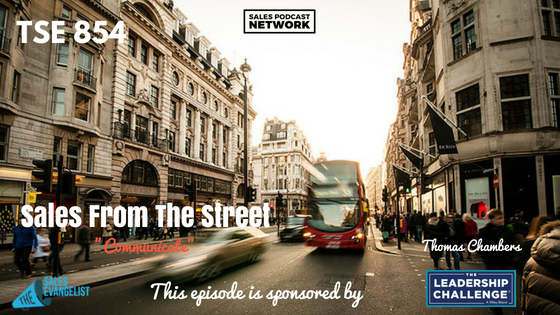 TSE 854: Sales From The Street:"Communicate"
Every sales professional knows the challenge of convincing a customer to choose your organization over your competitors’. We all understand the value of learning to communicate in order to be successful in business. 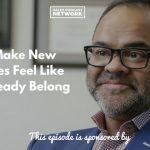 On today’s episode of Sales From The Street, Thomas Chambers shares the challenges he faces in his role as VP of sales for a yacht brokerage. 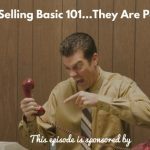 He discusses the need to communicate often with customers and sales agents, and his belief that there’s no such thing as too much communication. Sometimes, though, agents put a lot of work into a transaction and get nothing from it because the loan doesn’t close for some reason. He compares his industry to the real estate industry, in which sales don’t happen in a day. In fact, the entire process can take 6 months to a year. There’s a balance, then, to keeping employees accountable to their goals, and encouraging them when they struggle. They have to keep their eyes on the long game, and develop patience and perspective. Because half of Thomas’ employees are in different locations, he instituted weekly sales meetings to keep everyone on the same page. It gives his team a chance to discuss pipelines, boat listings, marketing initiatives, industry events, and relevant news. The meetings give his agents a chance to communicate consistently, and to provide feedback. The meetings have increased his agents’ trust in his leadership and grown the relationships. He also prefers sharing ideas as they occur to him rather than waiting for their weekly meeting. Additionally, he is able to help them focus on increasing their online footprint. As a result of their collaboration, many of his agents have started their own YouTube channels and improved their online presence. You can connect with Thomas and Just Catamarans at justcatamarans.net. You can also find the company on Instagram, Facebook and YouTube.